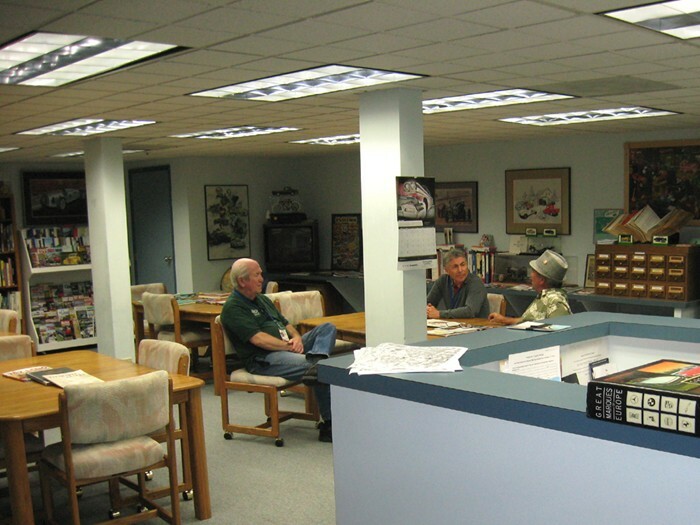 The library at the San Diego Automotive Museum contains many thousands of documents including more than 3000 automobile books, 2500 repair manuals, and 13,000 car-club newsletters and car-club magazines. 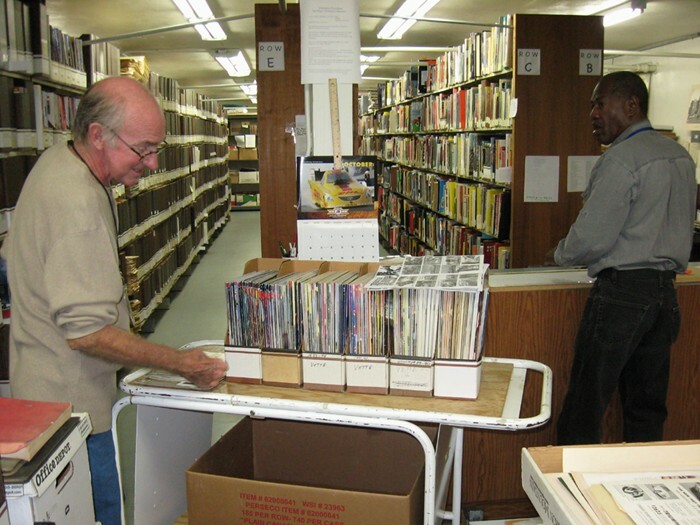 Volunteer Larry Okey says the library has 113 different titles of retail car magazines. 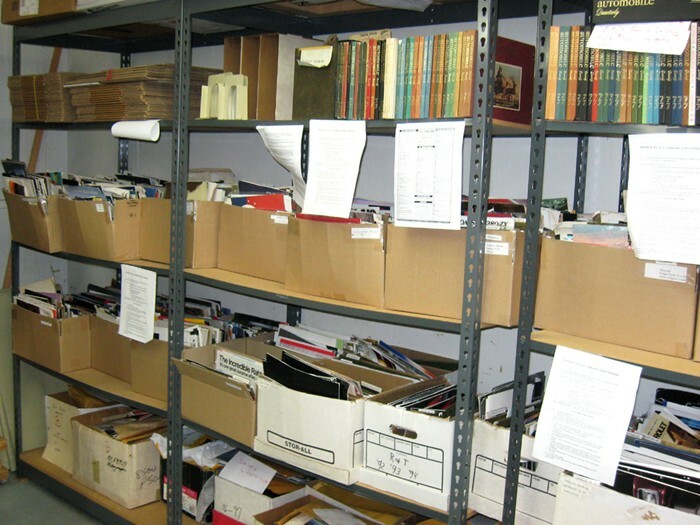 “We haven’t done a count for the magazines, but it’s in the thousands...many thousands. 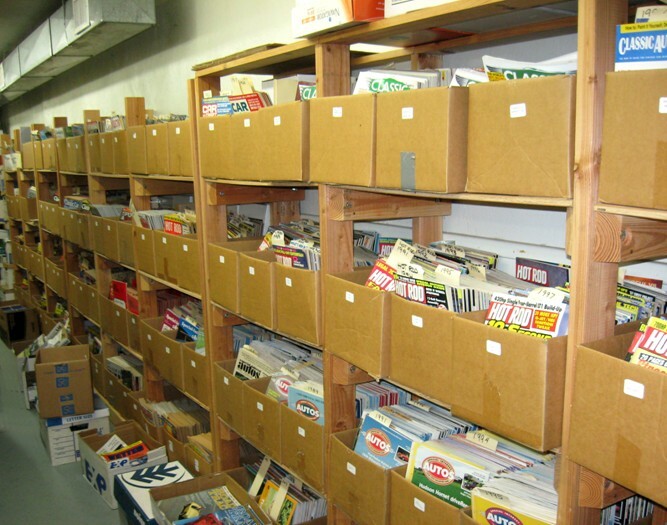 Some of the older magazines were a lot thinner before advertising, so the storage boxes might have 20-30 magazines per box. The new magazines, which are much thicker, probably have 12-15 issues per box. 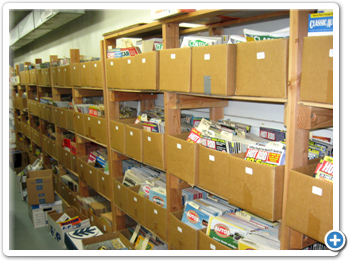 As you can see in the photo, the magazine boxes run the length of multiple shelved aisles and from the floor to the ceiling. 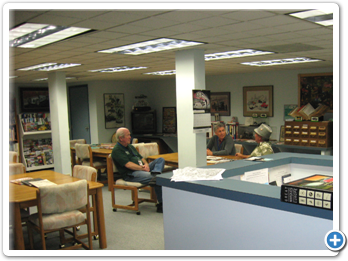 The magazines and newsletters are organized alphabetically while the automobile books are catalogued using the Dewey Decimal System. 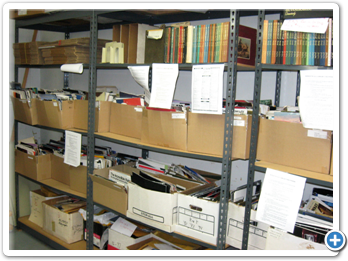 The library staff will retrieve any books and historical documents for museum visitors. 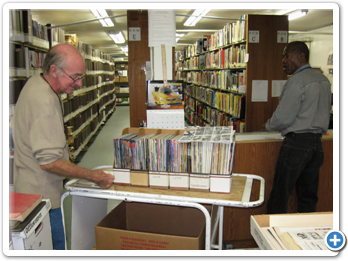 In addition to the books, newsletters, and magazines, the library has a huge inventory of repair manuals (dating back to 1911), sales brochures, DVD’s of car related movies, VHS tapes and CDs.